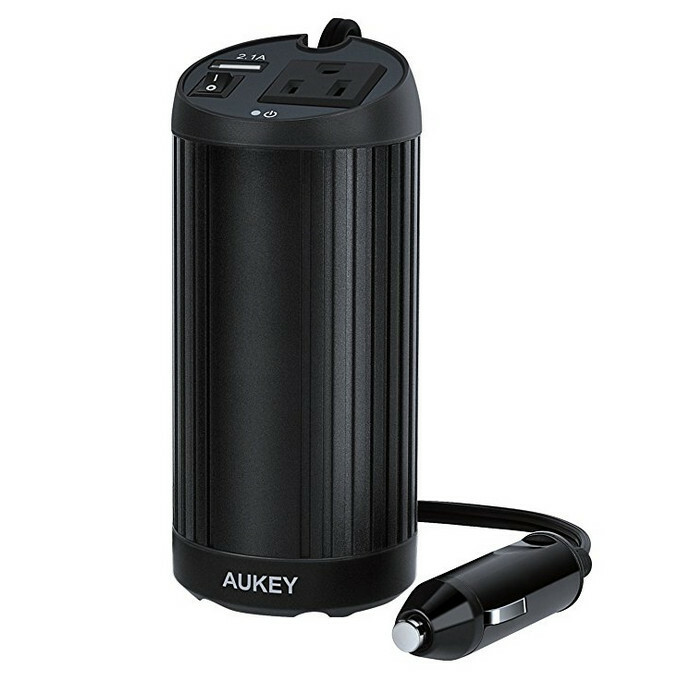 A few weeks ago I purchased the Aukey 150W power inverter from Amazon and I wanted to tell you how much I really like it for the car. One of the coolest things about it is the cup holder design. I’ve had other power inverters with different designs that plug into the 12v port, but they don’t always fit into the port because they’re really bulky and they smash into the dashboard. Even if they do hit, they’re heavy and cause stress on the 12v socket. This one doesn’t have that problem. 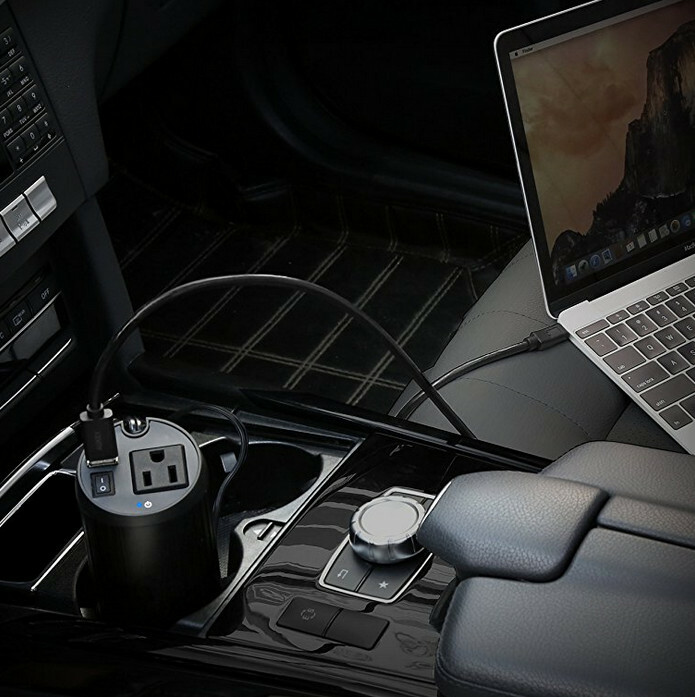 It fits any 12v socket and the inverter itself rests in your cup holder. It’s pretty slick and works great. If your cup holder is occupied, it can easily fit into your door pocket or rear cup holder. The other great thing I like is besides having a standard household outlet, it also has a USB port so you can charge and use two devices at once. The best part, its only $20! If you’d like to snag one for yourself, or if you know someone that could use one, hit this link or any of the links in this article to get over to Amazon and check it out! « Sprezza Box Monthly Subscription Service For Men – Is It Worth It?